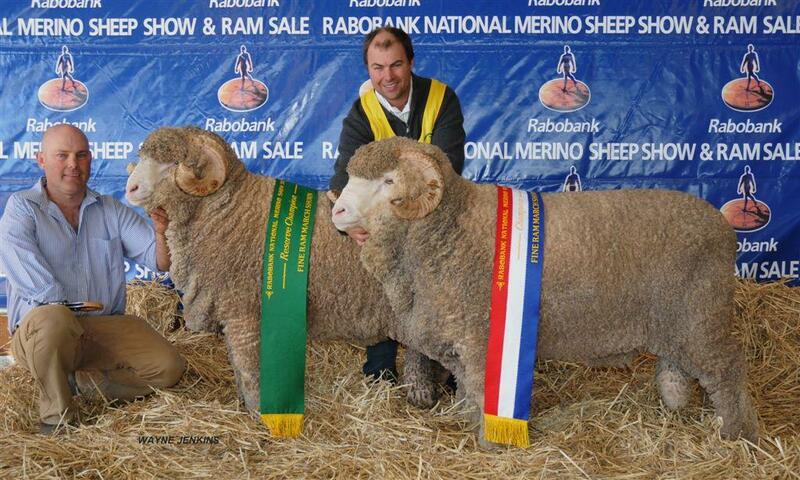 Jock holding N19 on mat winning Grand Champion Ram Campbell Town Show 2013. 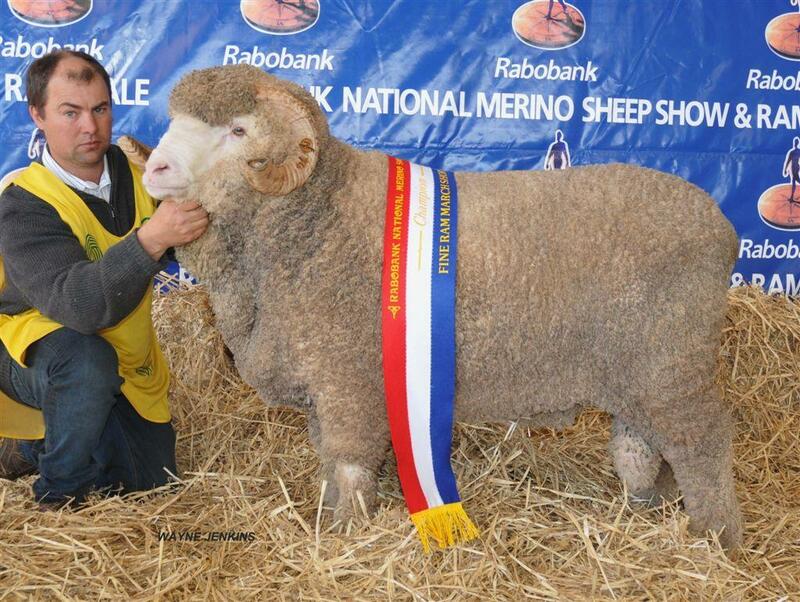 This ram was sold to long time clients, Broula Stud, Tarcutta NSW for $12500 at the Dubbo National show and sale 2013. 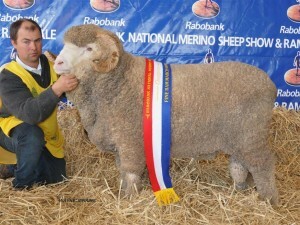 He cut 14.5 kg after the sale. 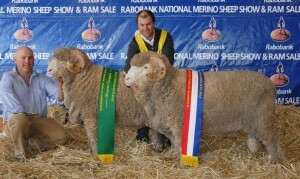 N74, Champion March Fine Wool at Bendigo and the Dubbo National. 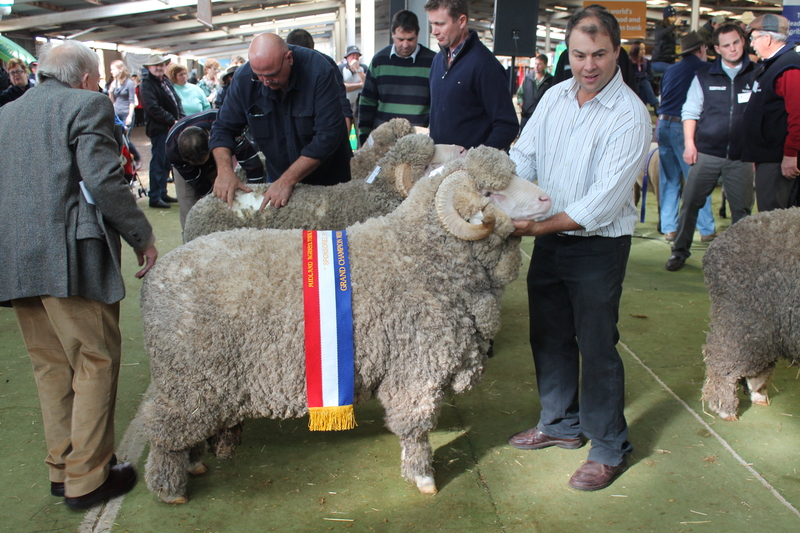 This Ram was sold at Hamilton Sheepvention for $10000 to Langdene, Grassy Creek, Kerrsville, and Glenpaen Studs.